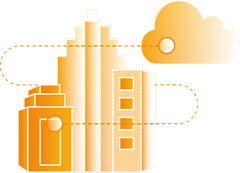 Amazon Web Services (AWS) Direct Connect provides a private, dedicated network from your on-premises environment to critical AWS resources. With AWS Direct Connect, you gain a trusted network connection at a lower cost compared to using general internet bandwidth. Create a more consistent and trusted network environment by choosing which data utilizes the connection and the route it takes. Quickly provision new connections to grow as your network requirements grow. Send sensitive data through a trusted connection directly to your AWS environment. 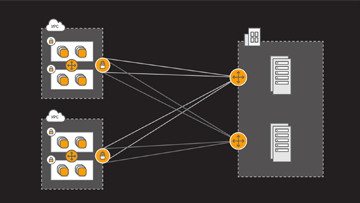 Establishing a private connection between AWS and your on-premises datacenter can help reduce your network costs and increase bandwidth, while maintaining a more consistent connection than typical internet-based connections. Transferring data into AWS is always free, meaning you only pay for the data you extract from AWS. As your network demands increase, AWS Direct Connect makes it easy to provision new connections to meet your growing capacity needs. AWS Direct Connect has at least one location in each AWS region around the globe, and can connect to multiple regions in North America to support your network expansion. Backup and archive data, without incurring additional costs to move it. Transfer large batches of data faster, without incurring additional charges, to your AWS environment through a private network. Provide your customers with a reliable and fast connection to media and entertainment sources via AWS Direct Connect. Make your cloud services perform better by building your network architecture on a foundation of dedicated connectivity. Whatever the strategy, AWS Direct Connect through Megaport partnering with Consegna gives you the power, agility and speed for connecting your resources seamlessly for faster business outcomes on AWS. Learn how to establish a scalable and cost effective private, dedicated network leveraging our many years of expertise. Megaport Case Study: News Corp Australia. This correspondence is for the named person’s use only. It may contain confidential or legally privileged information or both. No confidentiality or privilege is waived or lost by any missmission. If you receive this correspondence in error, please immediately delete it from your system and notify the sender. You must not disclose, copy or relay any part of this correspondence if you are not the intended recipient. Any views expressed in this message are those of the individual sender, except where the sender expressly, and with authority, This correspondence is for the named person’s use only. It may contain confidential or legally privileged information or both. No confidentiality or privilege is waived or lost by any mistransmission. If you receive this correspondence in error, please immediately delete it from your system and notify the sender. You must not disclose, copy or relay any part of this correspondence if you are not the intended recipient. Any views expressed in this message are those of the individual sender, except where the sender expressly, and with authority, states them to be the views of Consegna.Cloud Limited. This email has been virus checked.